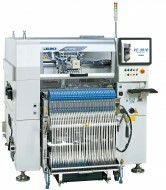 This placement machine combines high production capacity with its versatility at a reasonable cost. 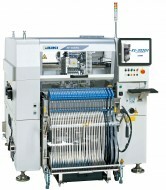 Chip mounter optimal for high-speed mounting of small parts. Flexible placement system for high-density placements. Higher Speed, Higher Quality, Improved Capacity, Flexibility.